In honor of getting a new camera and needing a reason to play with it…welcome to my Photo A Day! Topic: Whatever strikes my fancy. Frequency: Daily-ish. I hope. While I am not the outdoorsy type, sometimes being outside is unavoidable. Like when you’re up on Lake Superior, walking the rocks that line the beach. You simply cannot stay inside AND hike the rocks. Out I went. Short, and sweet: I saw this lichen colonizing a convenient bit of rock. I liked it. Clearly, it liked me back. 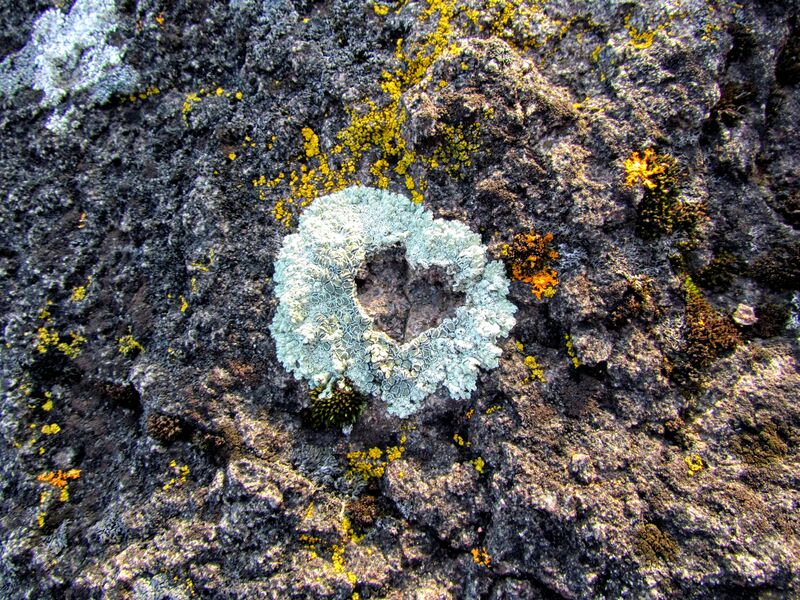 For the record, lichen are kind of cool. That is all. Sorry about the bad pun.